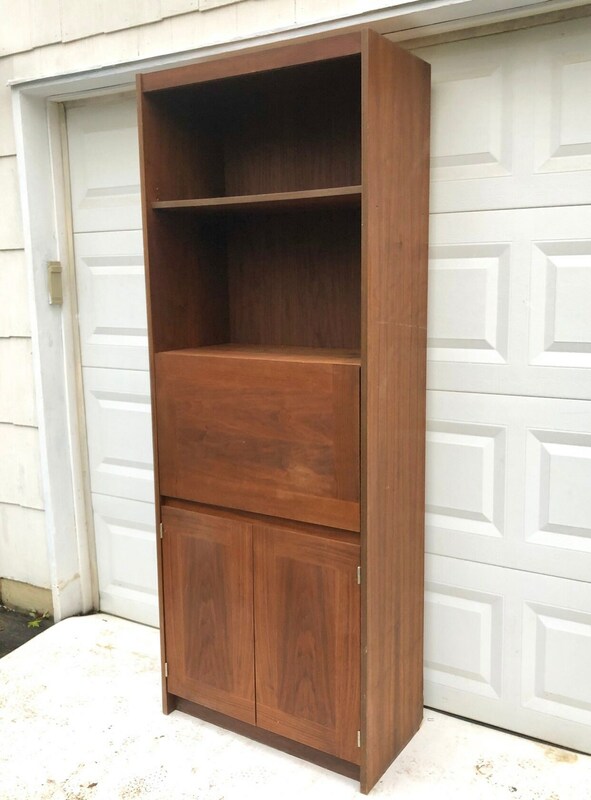 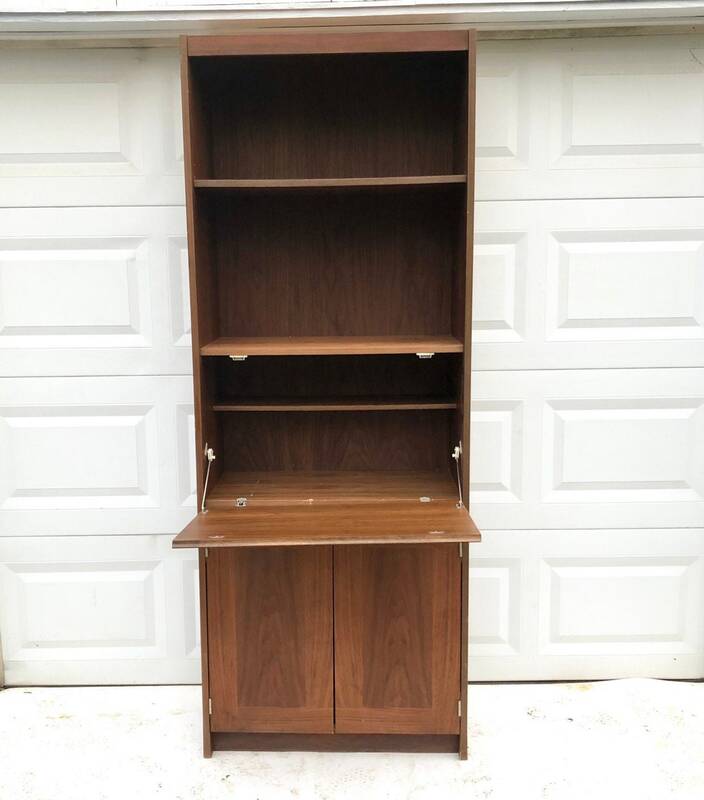 This tall vintage modern bookcase features adjustable shelves and drop front storage cabinet. 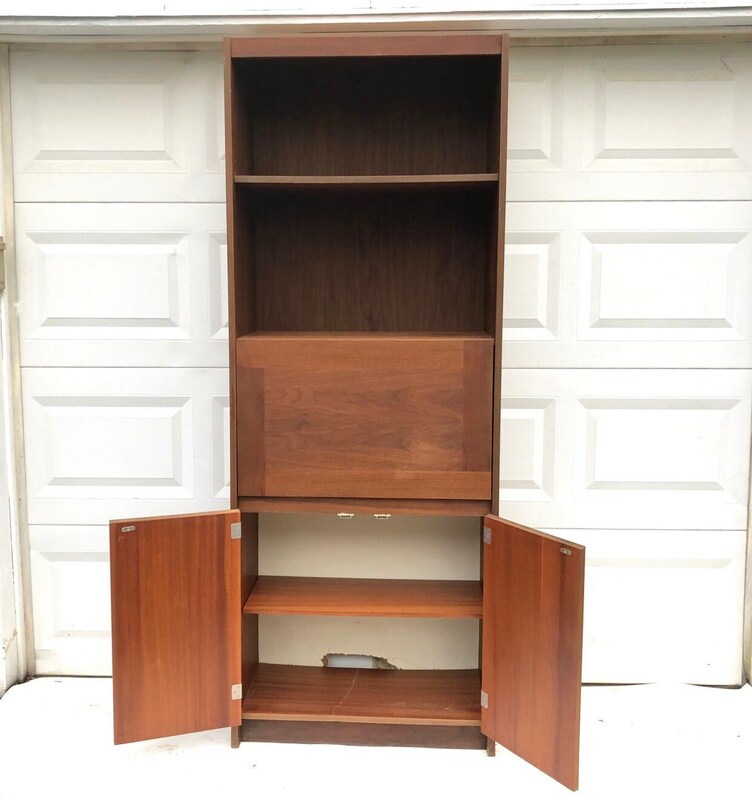 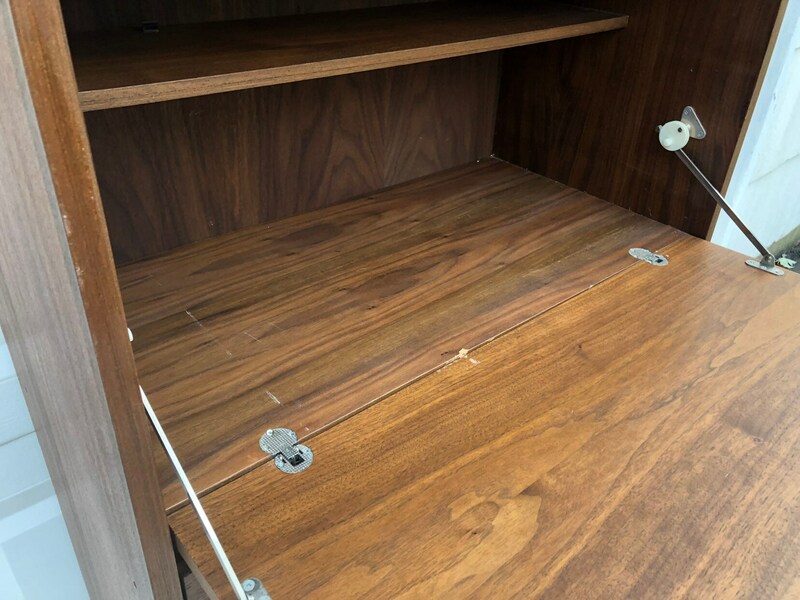 Mid-century modern style design and walnut finish make this a handsome shelving and storage option for home or business interior. 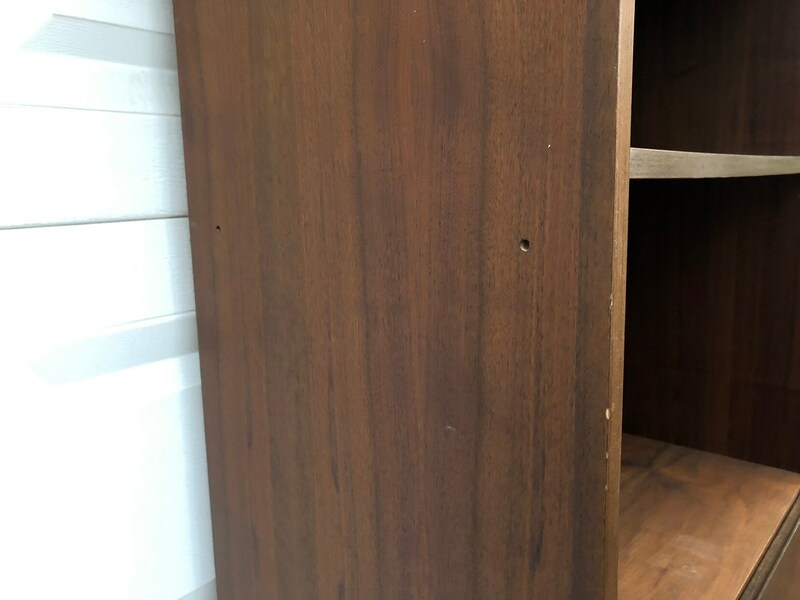 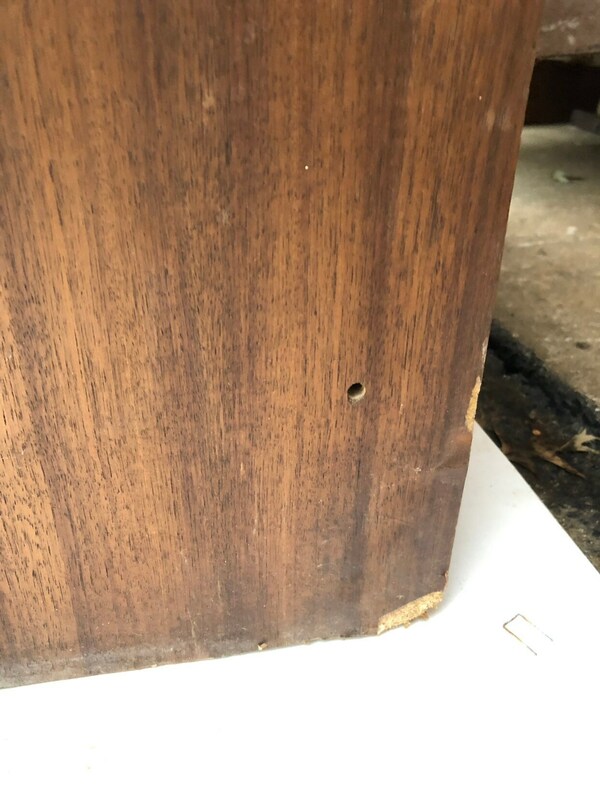 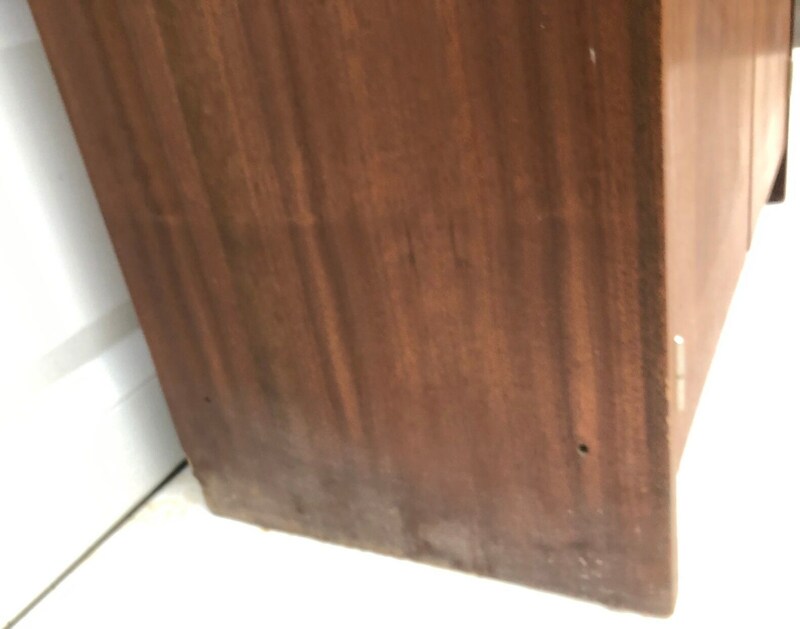 Condition: age appropriate wear, some scuffs/scratches/fading, water damage to bottom corner, some veneer loss/chips, interior marks, gouges, hole in back panel (see photos), drilled holes on sides from previous mounted units. 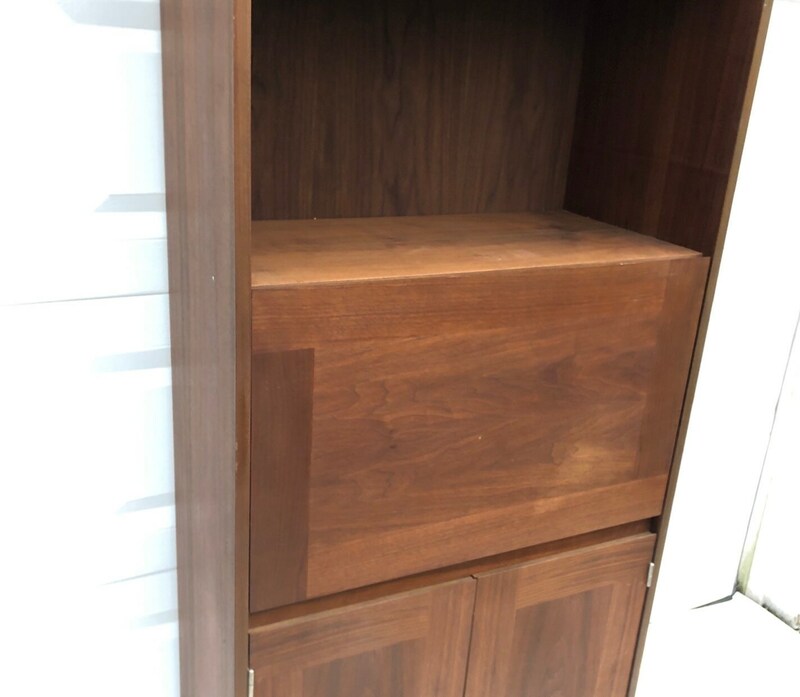 SHIPPING QUOTE REQUIRED!!!! 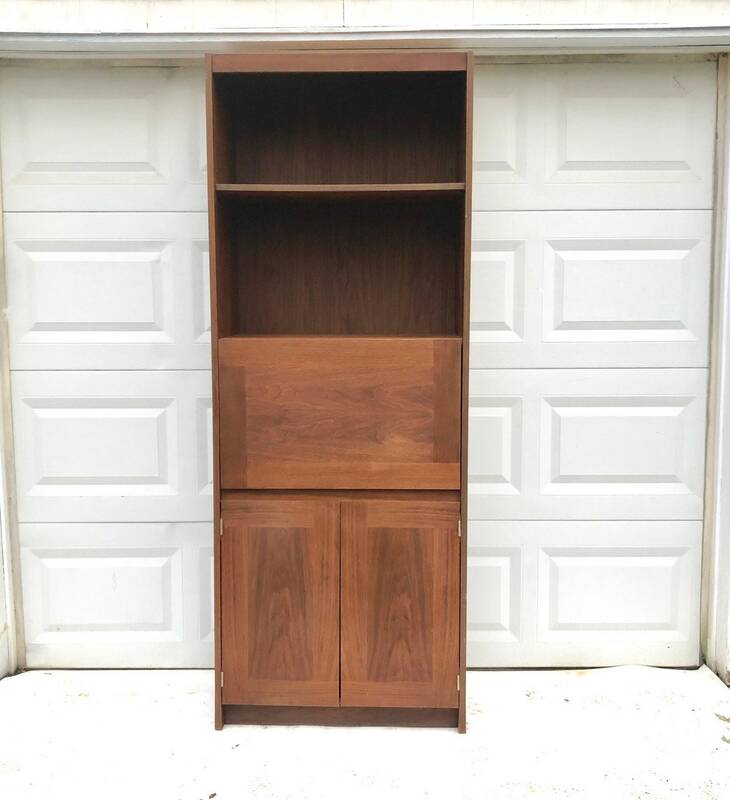 Send Zipcode to seller for a quote. 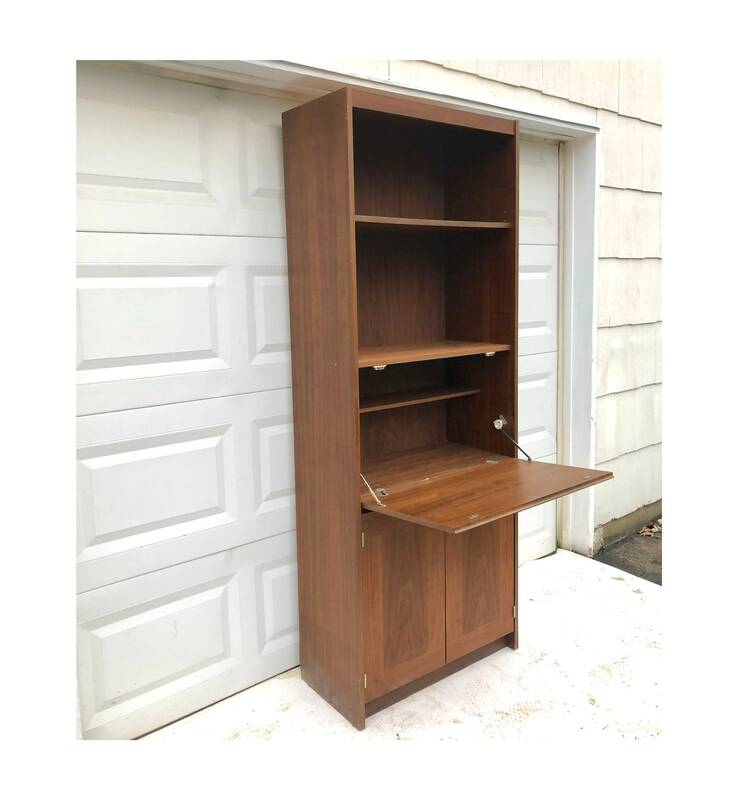 Local Freehold NJ 07728 pickup available, sales tax may apply.